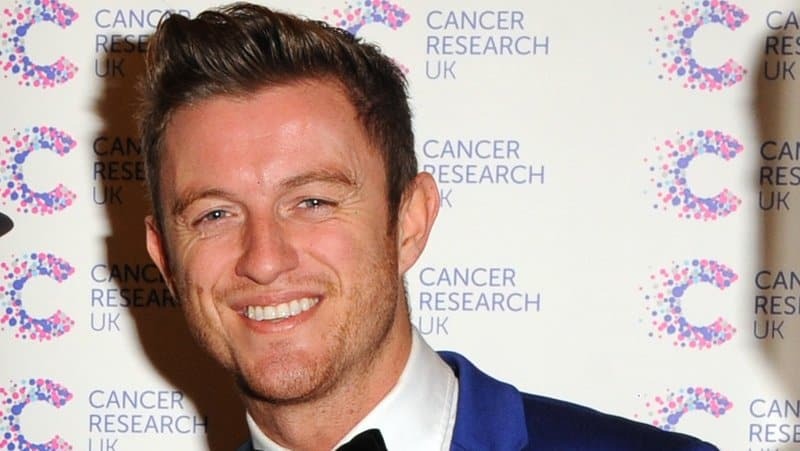 Timmy Matley dies at age 36 – He was winning the cancer battle. 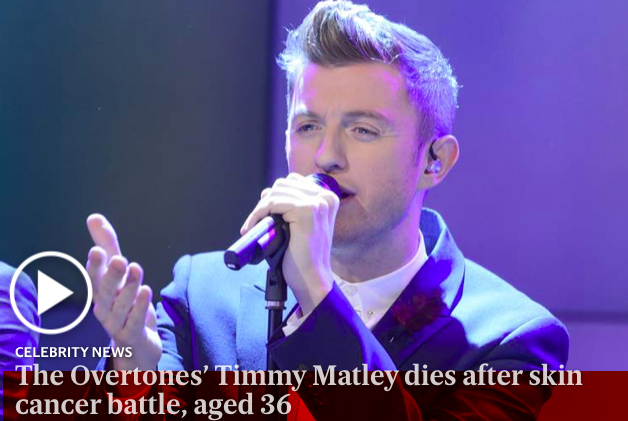 Home » Prues Blog » Timmy Matley dies at age 36 – He was winning the cancer battle. A special tribute to our beautiful friend and Prue’s Place community member, Timmy Matley. 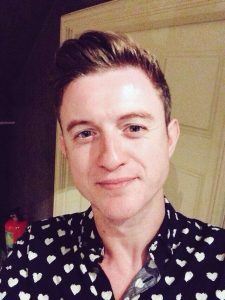 It is with the greatest sadness that I announce today at Prue’s Place Daily that our dear friend Timmy Matley has died. I knew last week that Timmy had died but I needed to gather my thoughts and do more research before I could write to you all. This is what has gone viral on the Internet. Millions of people around the world are grieving at the sudden death of our friend Timmy Matley at age 36. Timmy was born in Cork, Ireland and he moved to London with a dream of becoming a star. Timmy Matley and his friends were working as painters and decorators in a shop in the West End of London when they were heard singing by a record company talent scout during their tea break. They were invited to audition for Warner Music and were offered a five-album deal. Within months the Overtones were in the charts with their debut recording, which sold more than 450,000 copies. 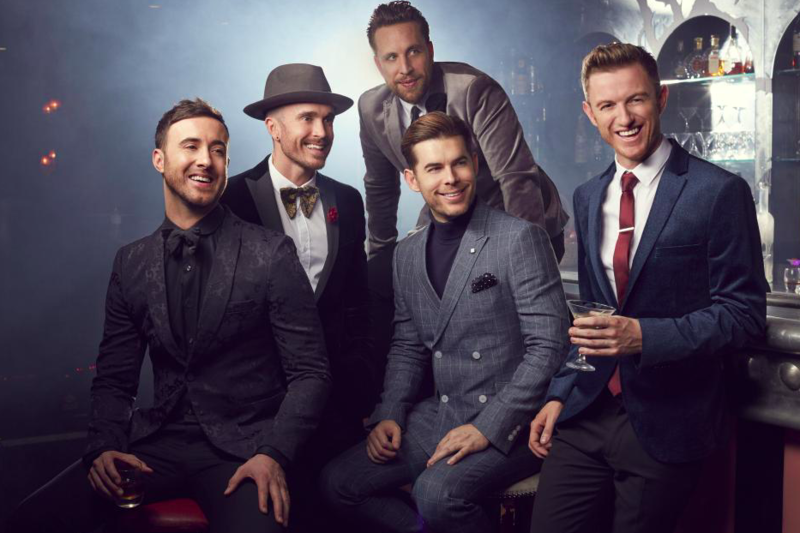 Boyishly good looking, smartly suited and booted, and singing harmonies in a style that evoked the vocal groups of the 1950s, the Overtones were likened to “a doo-wop version of Take That”. They recorded four Top Ten albums between 2010 and 2015, toured with Peter Andre and Cliff Richard, and became television regulars. Their progress was cruelly halted in 2016, however, when Matley was diagnosed with skin cancer and was forced to drop out of a promotional tour for the group’s latest album. The cancer spread and he underwent treatment as part of an immunotherapy drugs trial at the Royal Marsden Hospital, London. 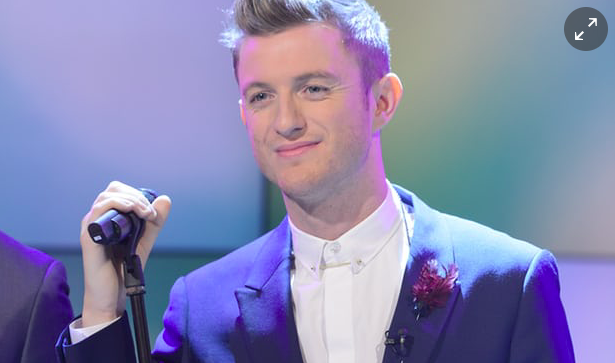 Matley revealed to fans on social media that he was “very afraid of dying” and that he found his illness “emotionally and mentally challenging”. He later reported, more optimistically, that he was “one of the lucky ones”, who had responded “amazingly” to treatment. He was planning a parachute jump for the Royal Marsden Cancer Charity when he died. The circumstances of his death have not been disclosed. Timothy Thomas Matley was born in Cork City in 1982 and enjoyed telling the story of how his mother, Geraldine, went into labour in the street “as she was walking down to the Credit Union”. He grew up “surrounded by a lot of strong ladies”, such as his mother, his sister, Audrey, and a bevy of aunts whom he dubbed “the Matley female mafia”. His earliest musical memory was being six years old and being moved to tears as his aunt, Janette, sang traditional Irish songs. He was educated at Deerpark CBS in Cork, but it was at Farranree Youth Club that he developed his love for making his own costumes and putting on shows that included singing, dancing and comedy sketches. “It stopped you from hanging out in the street corners and was the first time I got to shine,” he said. He had a less happy experience in the local Catholic church. He was sitting in the congregation one Sunday when a letter from the bishop opposing gay marriage was read out. Matley said the event made him “question if I was welcome in my own church”. He was one of three openly gay members of the Overtones. After completing a diploma in musical theatre, he spent a year backpacking around the world. Matley returned to London, where he first formed a band called DYYCE and then Lexi Joe, with Mark Franks, Mike Crawshaw and Darren Everest. After failing an audition for The X Factor as Lexi Joe, they regrouped as a quintet with the addition of Lachie Chapman. Success was only a decorating job away. Matley had not lived in Ireland for 20 years, but admitted to a strong sense of nostalgia for Cork and a more relaxed way of Irish life, despite “the closed-mindedness” that had caused him to leave. “Walking past someone, and just saying, ‘Lovely day!’,” he reminisced fondly. “It just doesn’t happen in London. My family do that for me, keep me grounded and I’m thankful. Timmy was our friend and very fond of Prue’s Place. He loved what we were doing and gave us a shout out in one of his TV interviews in London recently. He was an avid reader of Prue’s Place Daily and he spent the last 15 months in private sessions with me working on the best protocols and treatments to help save his life. He was dedicated to his program and tried his best to keep to a strict scientifically proven nutritional mind-body healing protocol. What was discussed between Timmy and I will stay confidential forever and has a special place in my heart. What I can tell you is that Timmy was diagnosed with stage 3 Malignant Melanoma in 2016 which progressed to stage 4 in 2017. He decided to go to the Gerson Clinic in Mexico where he met our lovely community friend Sue. Sue kindly introduced Timmy to Prue’s Place. Timmy was doing well on a combination approach which included parts of the Gerson protocol, along with anti-inflammatory nutrition. After an AA/EPA blood test he started on Dr. Barry Sears’ high dose Maqui Berry (polyphenols) and the correct amount of purified fish oils from Bare Biology in the UK, along with Prue’s Place daily meditation, visualization, tips and techniques to reduce stress and emotional healing support and guidance in our weekly sessions. Timmy also chose to go into an Immunotherapy trial at the Royal Marsden Hospital in London. He felt he had all the basis covered. 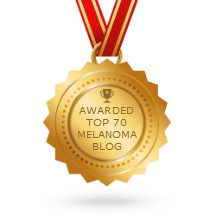 Timmy had little side effects to the Immunotherapy drugs which we both knew was due to the amazing work he was doing using food as a drug to lower cellular inflammation. Cancer patients need to decrease mTOR and the most effective way to do this is by reducing calorie intake and the amino acid leucine and increasing high potency polyphenol consumption. Using food as a drug and combining high-dose polyphenols and the right amounts of high-dose purified EPA and DHA will help reduce tumor growth. Timmy was doing everything in his power to heal from cancer. Timmy and my relationship grew into a beautiful friendship and he would often send me photos of his family and his travels. I knew this wasn’t true. Timmy’s scans were excellent and his cancer had regressed. I kept researching online and found an article in Ireland, his home country, that stated he didn’t die of cancer and that he died from falling off a balcony. I needed some time to digest what had happened before I could write to you all. I decided to sit back and do some research and get in touch with his friends and colleagues in London so I could bring you the whole story. I’m told they are starting an investigation into his death, and a toxicology report is underway. I continue to pray and send Timmy love and white healing light as he flies with the angels to heaven. I’m beyond sad my dear friends and still in shock as I write to you today. Timmy had the world at his feet. His dream of becoming a star had come true, and at 36 he had only just begun to share his magnificence, his talent and love of music with the world. Timmy was the lead in the famous band The Overtones, and he was so proud of his success. At one of our last sessions, he showed me around his recently renovated home in London on FaceTime. The house was adorable. He was proud of how far he had come in his life. I miss your beautiful smile and your infectious loveable personality. I miss your cute adorable boyish face at our meetings on FaceTime. I miss having you in my life and helping you on your cancer journey. You did good kiddo. I’m so proud of you. Heaven’s gain is our earthly planet’s profound, sad loss. Rest in peace, my beautiful, soulful friend. I’m sharing this story with you all today because Timmy didn’t die of cancer. He was winning his cancer struggle because he got educated and dug deep and with sheer guts, determination, belief in himself and deep love and support from family and friends he was on the right track. We all know how hard it is to stay on course to change our lifestyle to save our lives from this devastating disease. Timmy did the work. Let’s honor Timmy’s life and let it be an inspiration to us all. Timmy would want you to follow his lead and get educated about what you can do to heal your life. He’d want you to dig deep into your heart and soul and stay focused and on track. Sending healing prayers and comforting hugs to his Mam, Geraldine, his sister, Audrey, nieces, nephews and the boys in the band. Our thoughts are with you during this challenging time. Prue’s Place is sending you angels of love. Thank you for coming into my life. You have a special place in my heart forever. Rest in peace dear Timmy. I’m so glad I’ve found this. Thank you for your efforts in trying to find out what happened to Timmy. I echo the same words as others have said. I love the Overtones and have seen them many times but feel so sad about Timmys passing that I too don’t feel that I can go to see them again without Timmy there. I’ve been consumed with wanting answers as I didn’t believe that Timmy died from his cancer or the balcony rumour as previously mentioned that would not have gone without huge media interest. I feel wrong for wanting/needing some answers as it’s not a right as a fan to know but The Overtones were a very friendly group and were very open with their fans so it sort of makes you feel like their family’s do know them personally. I hope there are some answers soon as I had found it really strange that there wasn’t anything until this that was giving any. Such lovely words about Timmy, thank you for sharing. I lost my Dad to cancer in February after just a 50 day battle, so Timmy’s death seemed to come as a double blow and I too didn’t believe the balcony rumour. But I also have been left so confused about the reports that he lost his battle with cancer. His scans had shown no evidence of disease just before Christmas so for all that to change so quickly didn’t seem right either. I know I have no right to know how he died, but I just wish I did so I can find some closure as I’m forever wondering… can you message me please? It’s tragic and my mum can’t actually listen to the boys at all now. She met timmy at a hospital in London the day he was diagnosed with cancer he was so upbeat and brave. Wish we knee what it was. I have survived 3 dvts and feel very lucky to have done so. What a beautiful soul he was. I miss him in my life. Thank you for reaching out. Much love Prue. I’ve said since I heard the tragic news that it wasn’t the cancer. I had a happy tweet from him 2 weeks before. He wouldn’t commit suicide as he was afraid of dying. He wouldn’t come home to die alone. He’d be with his family. I saw that Irish report about the balcony. My thoughts are. Heart attack. Stroke or DVT to heart or brain. I know this can happen. My husband passed from cancer. He had 2 DVT’s . neither fortunately were fatal. We fans are all asking the same question. ..what happened. We need to know for our peace of mind. Thank you for sharing this with us. Let’s hope there’s some answers very soon. So lovely to hear from you Linda. I totally agree with you. It could have been a reaction to the Immunotherapy. I’ve seen sudden death from these drugs. Unfortunately, once they turn the immune system on they can’t stop it. It’s like a mac truck going over a hill with faulty breaks. I’ll let you know when I hear something. I’ll connect with you on Twitter! Much love to you. Prue. Stop Judging. Stop Being Critical.